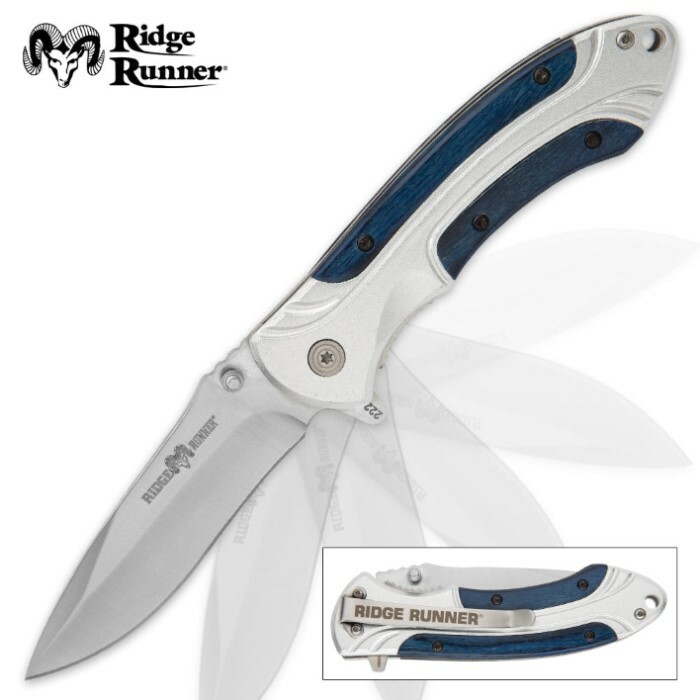 Ridge Runner Deep Blue Sea Pocket Knife | BUDK.com - Knives & Swords At The Lowest Prices! 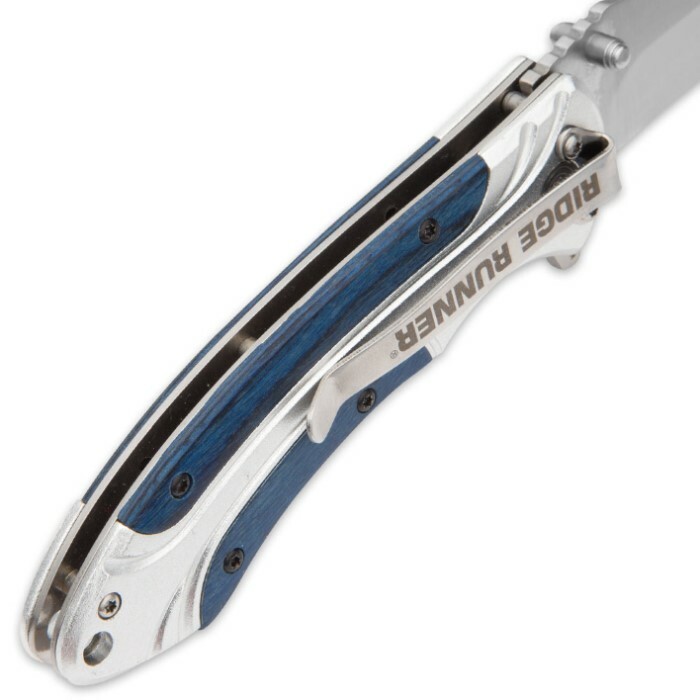 The Deep Blue Sea Pocket Knife from Ridge Runner is an elegant study in texture and material contrasts. 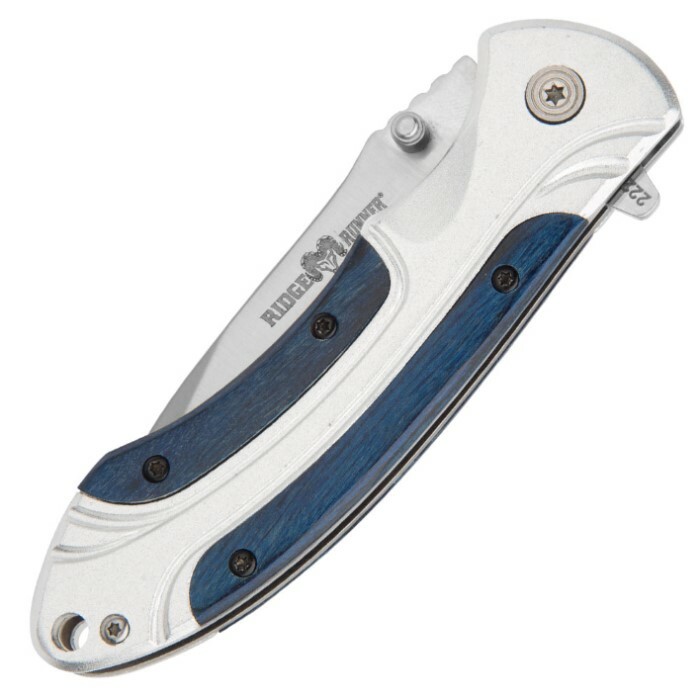 The matte finished aluminum handle features deep blue wooden inserts that provide a refined contrast to the matte texture of the aluminum. The knife has a razor-sharp 3 1/2” stainless steel blade, which can easily be accessed with either the thumbstud or flipper. It also features a sturdy metal pocket clip for ease of carry. This is truly a beautifully imagined, designed and constructed pocket knife that just cannot be missed! Thumbstud works great, easy to sharpen and keeps a blade, perfect utility knife. Super fast shipping! I’m a new Budk customer and I’m hooked for life! I tell everyone I know about this site. Anyway, back to the knife. It’s a very cool and classy knife. Came sharp right out of the box! You need to buy this knife. I bought it as a gift for my son for Christmas and had it engraved with his name on the blade. It looks fantastic!